12100 Capri Cir. S. #206, Treasure Island, Fla.
Our Team helped this client find the home of their dreams. This fantastic 2-bedroom, 2-bathroom condo with a community pool right along the Intercoastal waterways in the heart of Treasure Island has everything a beach-goer would need. Reach out to us to see how we can help you find your next home. The main entertaining space of this home features plenty of space for all types of furniture layouts and all types of entertaining! 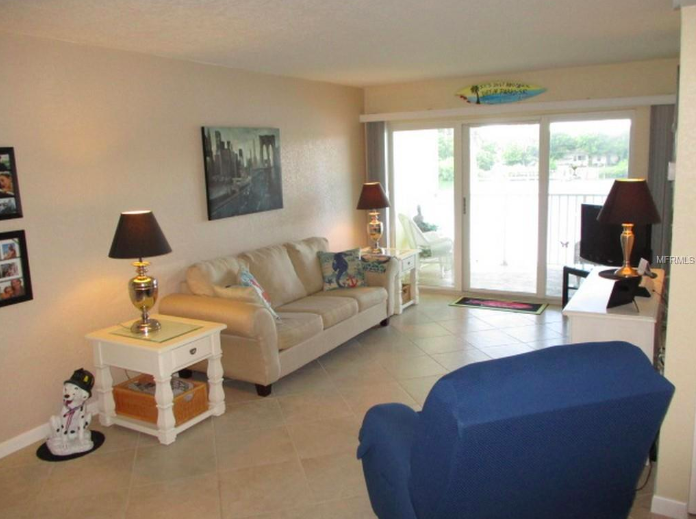 Plus, you’ll have a straight shot right out of the living room to the balcony overlooking the water. The community pool in this condo building sits right along the Intercoastal, so you can make the most of everything the outdoors in Florida has to offer!